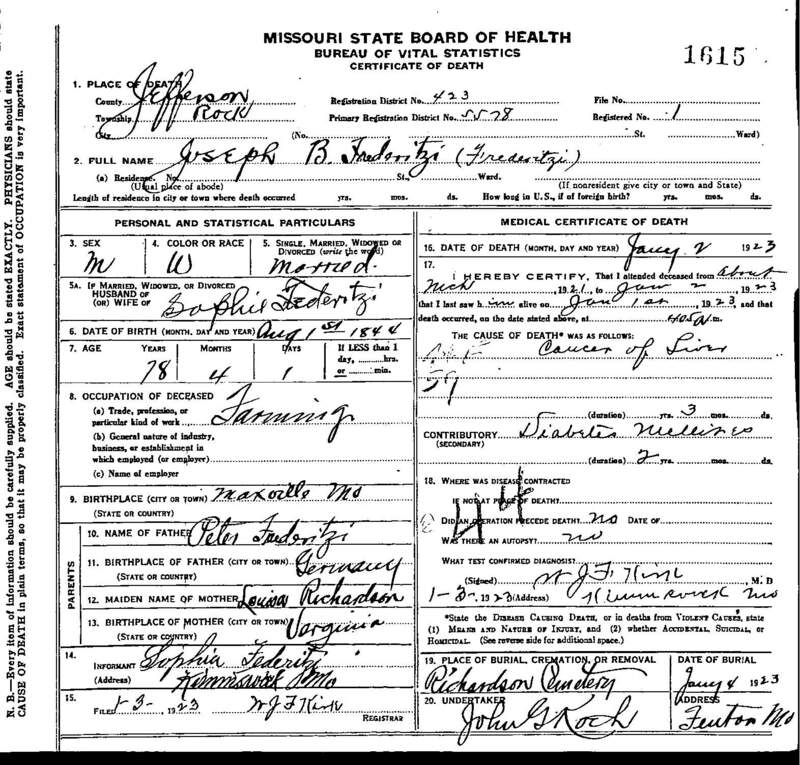 "Death Record - Joseph B. Frederitzi"
Birth location: Maxville, Jasper County, Missouri. Cause of death: Cancer of liver. Death location: Rock Township, Jefferson County, Missouri. Burial location: Richardson Cemetery (a/k/a - Old Richardson Cemetery) Jefferson County, Missouri.